Exercise can fall pretty low on the list of priorities because #momlife, but it can be done! Some days I do stretches and exercises in my jammies while the kiddos play, but at least I get it done. I have recently posted some videos of my top 6 go to exercises you can do anywhere with or without baby. Check out this post on my Instagram for videos. 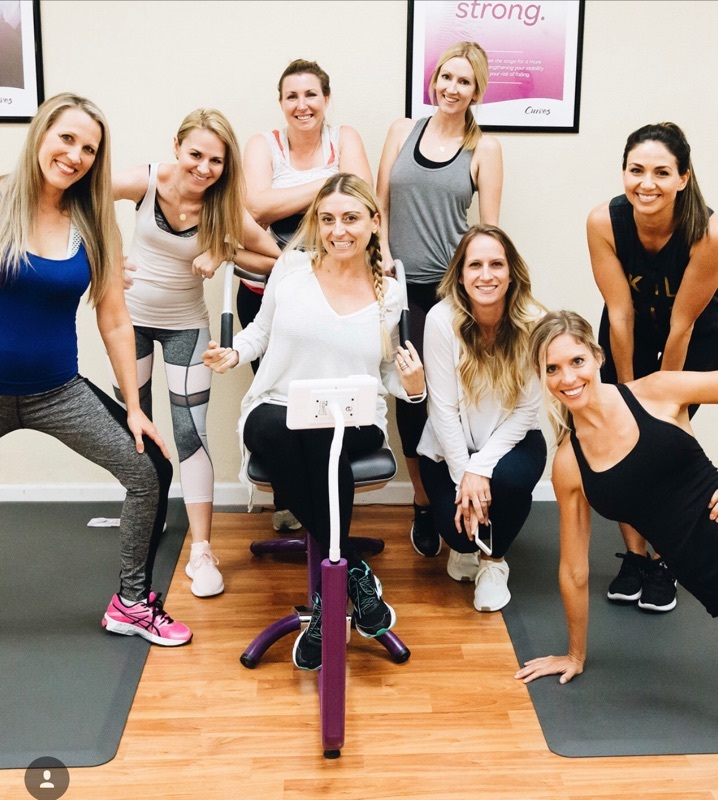 Although I am typically a fan of exercising at home, it is important for me every so often to workout on my own (without babies) or with girlfriends. Have you ever noticed how motivating it is to have a friend to workout with? I'm a social person so I love group fitness. I had a mamas night out last week at Curves in Oceanside, California. I went with a few mom friends and enjoyed a well needed workout sesh with awesome coaches and some mama bonding after. Curves really is ideal for busy or working moms because you can squeeze in some fitness anytime of day. There is always a coach there if you need one, and you can cater your workout to your needs. Also, there are so many locations that there is probably a gym near you. 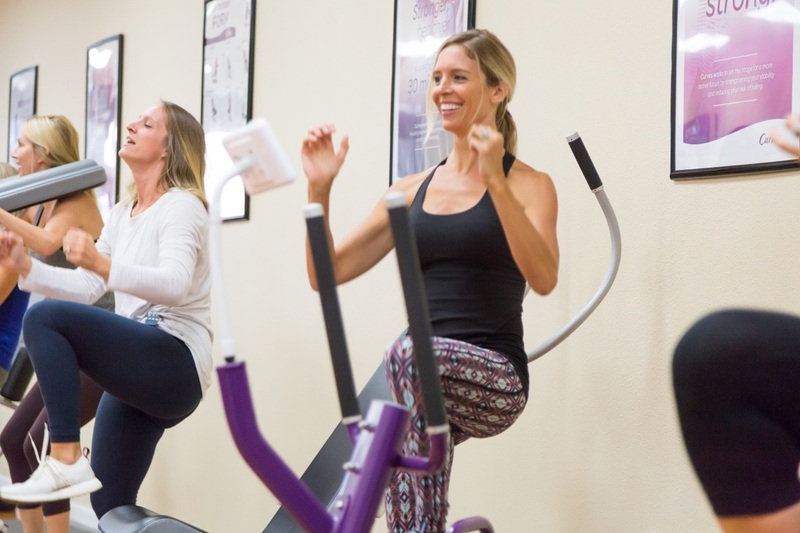 Regardless of your fitness goals, there are so many options out there for busy moms to make time to stay physically fit. Don't forget that you have to take care of yourself before you can take care of others. Whether you're working out with babies or buddies, a little movement goes a long way for your mind, body and soul! This post was sponsored by Curves International, but the content and opinions expressed are as always, my own! I know this blog post will attract expectant mothers or "preggers"as you term them diet is an important factor for pregnant mothers that aides the growth of the unborn baby keep posting more informative articles Carly.